Are you listening, mobile Pandora users? That's the sound of free unlimited music shriveling up. 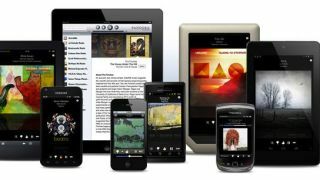 The internet radio service today announced a plan to cap free mobile listening at 40 hours per month, starting in March. The reason, explained Founder Tim Westergren in a blog post, is rising royalty rates. "Pandora's per-track royalty rates have increased more than 25 percent over the last three years, including 9 percent in 2013 alone and are scheduled to increased an additional 16 percent over the next two years," he wrote. "After a close look at our overall listening, a 40-hour-per-month mobile listening limit allows us to manage these escalating costs with minimal listener disruption." Pandora-ites will remember the company introduced a 40-hour monthly cap on free desktop listening previously but rescinded that policy in September 2011. According to Westergren, less than 4 percent of Pandora users ever hit the 40-hour mark a month, meaning a small percentage of uber users will be effected. Average Pandora people usually hang out around the 20 hours of listening a month across all devices, not just phones. That said, should you exceed the listening limit, you'll need to fork over US$0.99 for the remainder of the offending month. Of course, there's still the option to listen limitlessly on desktops and laptops, or to pay US$3.99 for a Pandora One subscription that not only offers unlimited tunes but eliminates groove-interrupting advertising.